Tag Archive | "Jeff Tolar"
Jeff Rivard was appointed to the Cedar Springs Board of Education Tuesday evening, May 1. 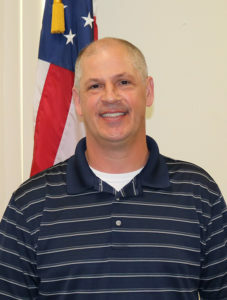 The Cedar Springs Board of Education held a special meeting Tuesday evening, May 1, to interview candidates for the seat vacated by former trustee Tim Bauer. Four candidates interviewed for the position. Six were scheduled to interview, but two dropped out. The four that were interviewed were Jeff Rivard, Pastor Craig Owens, Mistie Bowser, and Jeff Tolar. The candidates answered six questions, which they were all given ahead of time to prepare. After the interviews, the board voted to select Jeff Rivard to fill the open seat. The vote was 6-0. Several board members noted they liked his fiscal background. He also spoke about the importance of the board members listening to every group—the administration, the staff, and the community—and being open-minded. In his biography on the school website he said: “I am a dad, father and businessman who lives in the city of Cedar Springs. My wife’s name is Jennifer and we have 2 daughters; Ryllie and Cassandra. We have lived in Cedar Springs for 10 years. “I wanted to join the School Board because I have the desire to help our community using my work and life experiences. Rivard will serve until the end of 2018. If wants to retain the seat, he will need to run for election in November.